Premature aging of stem cell telomeres, not inflammation, linked to emphysema. Lung diseases like emphysema and pulmonary fibrosis are common among people with malfunctioning telomeres, the ‘caps’ or ends of chromosomes. Now, researchers from Johns Hopkins University say they have discovered what goes wrong and why. The team report that some stem cells vital to lung cell oxygenation undergo premature aging, and stop dividing and proliferating, when their telomeres are defective. The stem cells are those in the alveoli, the tiny air exchange sacs where blood takes up oxygen. In the current study of these isolated stem cells in mice the researchers discovered that dormant or senescent stem cells send out signals that recruit immune molecules to the lungs and cause the severe inflammation that is also a hallmark of emphysema and related lung diseases. The team state that until now the medical community have thought that inflammation alone is what drives these lung diseases and have based therapy on anti-inflammatory drugs for the last 30 years. However, the new discoveries in the current study suggest that if it’s premature aging of the stem cells driving this, nothing will get better if this problem isn’t fixed. Acknowledging that there are no current ways to treat or replace damaged lung stem cells, the lab states that knowing the source of the problem can redirect research efforts, adding that it’s a new challenge that begins with the questions of whether researchers take on the effort to fix this defect in the cells, or try to replace the cells. The data findings also found that this telomere-driven defect leaves mice extremely vulnerable to anticancer drugs like bleomycin or busulfan that are toxic to the lungs. The drugs and infectious agents like viruses kill off the cells that line the lung’s air sacs. In cases of telomere dysfunction the lung stem cells can’t divide and replenish these destroyed cells. When the researchers gave these drugs to 11 mice with the lung stem cell defect, all became severely ill and died within a month. The team state that this finding could shed light on those occasions where people with short telomeres may have no signs of pulmonary disease whatsoever, but when they’re exposed to an acute infection or to certain drugs, they develop respiratory failure. To their knowledge no other study has linked this phenomenon to stem cell failure or senescence. In the current study, the researchers genetically engineered mice to have a telomere defect that impaired the telomeres in just the lung stem cells in the alveolar epithelium, the layer of cells that lines the air sacs. In bone marrow or other compartments, when stem cells have short telomeres, or when they age, they just die out. However, the team found that instead, these alveolar cells just linger in the senescent stage. The team state that the stem cells stayed alive but were unable to divide and regenerate the epithelial lining in the air sacs. After two weeks, the senescent lung stem cells only generated five new epithelial structures per 5,000 stem cells, compared to an average of 425 structures from 5,000 healthy stem cells. The researchers also hope to learn more about how mice with this telomere defect in lung stem cells respond to cigarette smoke. 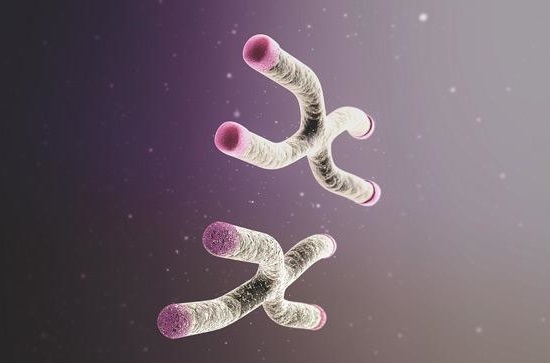 Other studies of patients with telomere defects, including one published last year by the team, suggest that telomere defects may be one of the more common predisposing factors to lung diseases, such as emphysema. The team surmise that further studies should help them determine whether cigarette smoke causes lung disease in this setting because of stem cell failure.